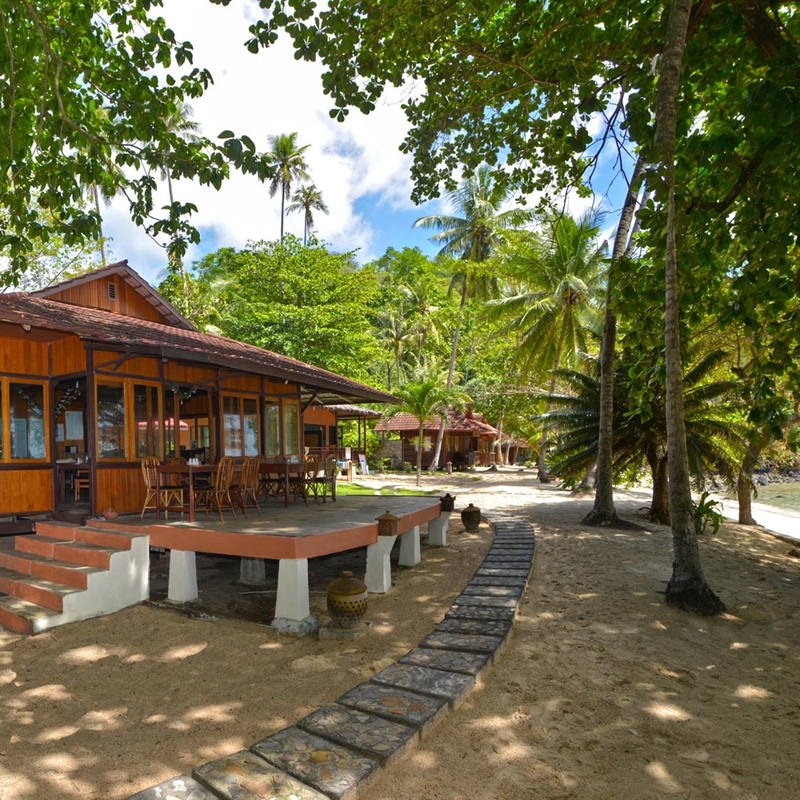 Situated on a palm-fringed white sand beach, Murex Bangka offers a true Robinson Crusoe style experience. If you were dreaming of a remote island getaway, exceptional service, and wonderful diving Bangka should at the top of your list. Murex Bangka is around a 60 minute car journey and 20 minute boat ride from Manado International Airport which receives flights from all major Indonesian cities including Bali and Jakarta as well as international flights from Singapore. Late afternoon and evening arrivals are possible but are dependent on sea conditions. If a transfer is not possible they will accommodate you in Murex Manado overnight and transfer you to Bangka Island the next morning. Murex Bangka is the only resort on Bangka Island able to offer hot water showers and air conditioning. An explosion of colour and kaleidoscopic soft corals. Bangka dive sites are a sensory overload where the pristine reefs are teeming with life. Pelagics and critters, Bangka has it all! Unique species include resident dugongs, dolphins and pilot whales, several species of pygmy seahorse, harlequin and tiger shrimps, blue ring, mimic, reef and wonderpus octopus, ghost pipefish, Ambon scorpionfish, frogfishes, turtles, reef sharks, eagle rays, tuna, great barracuda, schooling fish including snappers, fusiliers, cardinals and mackerel. Power operates in the rooms from 5pm – 7am and in the restaurant and camera room during lunch time hours. Murex Bangka offers a choice of charming and comfortable, traditionally styled timber bungalows as well as larger duplex rooms, which have adjoining doors and are perfect for families. All rooms are oceanfront with stunning views. Your stay at Murex Bangka is on a full board basis. Three plentiful buffet meals a day are served in our main beachfront restaurant which features an open-air terrace for those who prefer dining al fresco. We can arrange your flights from several UK airports, however Heathrow provides the best prices and connections via Singapore. Transfers are included within your package. Please call or e-mail us for your tailor-made quotation. Start your day with a two dive trip to Bangka’s most iconic dive sites. Return to the resort for lunch followed by a third afternoon dive or opt for a three dive safari trip with lunch served on the boat. Night dives around Bangka are a major highlight and should not be missed! 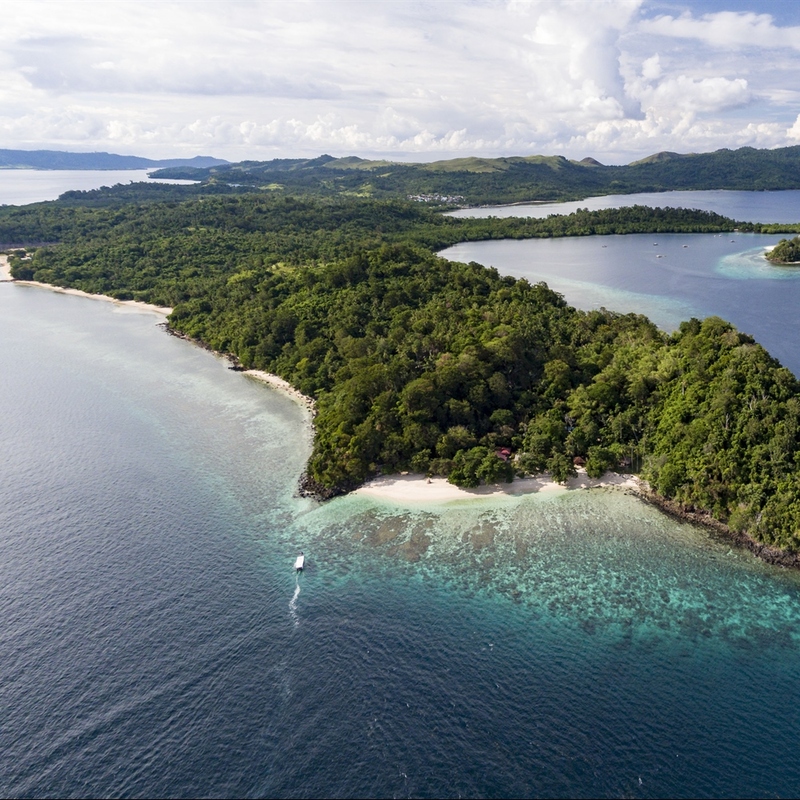 The beautiful House Reef is just a step off the beach and you’ll immediately be amazed by the bright colours, wealth of coral and abundant marine life. The House Reef is a sloping reef descending to a white sand bottom. Along the slope there are diverse corals and beautiful bommies which are shrouded in schools of glass fish and hiding frogfish. The House Reef is home to numerous unique critters including pygmy seahorses, blue ribbon eels, mantis shrimps, cuttlefish, reef octopus, a variety of nudibranch species and look out for passing eagle rays. Each diving day you book includes 1 self self-guided on the house reef. Your stay at Murex Bangka can easily combined with a stay on the beautiful main island of Manado, example price would be from £2375 for 5 nights each resort, full board as above and a total of 18 dives, including to 2 dives during a boat transfer between both resorts, as well as complimentary self guided house reef in buddy pairs up until 5pm on guided diving days.